Just a quick one today, I’ll follow this up with a full write up with pictures after the event. 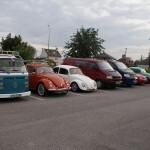 On Wednesday 27th July 2011 we are having our first VW owners club meet in York. We are meeting first at the Black Bull in York and then a cruise convoy to the White Swan at Deighton just outside York – not far from the York Designer outlet. We are really looking forward to getting together with some faces that we already know and some new ones. 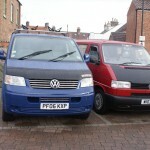 If you read this and are in the York area – or don’t mind travelling, then join our website forum and add yourself to the meets thread that I have put up about our local veedub meet. We do need to know numbers as at our second stop we are getting some food laid on for us – it will be something like sandwiches and chips. The Big Fat Tour 2011, a set on Flickr. Here are pictures from Sunday’s Big Fat Tour. 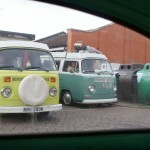 Many, Many VWs driving around Yorkshire all day together. It rained most of the day although we did get a little bit of sun when we stopped in Scarborough for lunch. Thanks to the organisers for a great day. 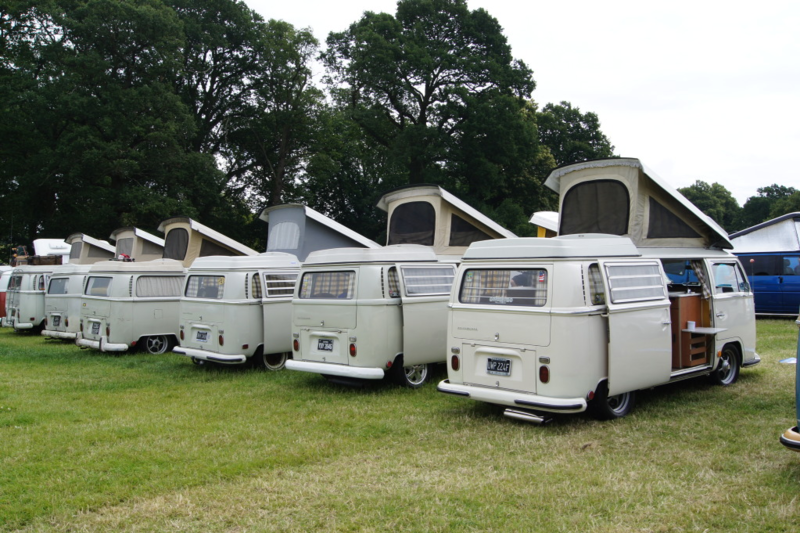 see you again at VW Festival in August! 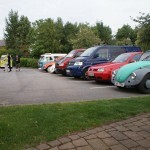 A few pics from the Dubs on the Wolds July meet at the Warton Arms pub in Woodmansey, near Beverley, East Yorkshire. 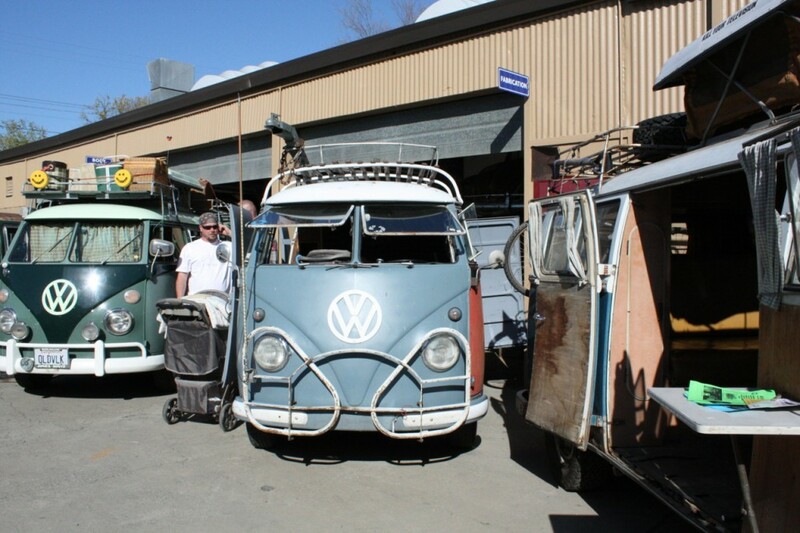 vwbaybus: dying to have a go in this…. 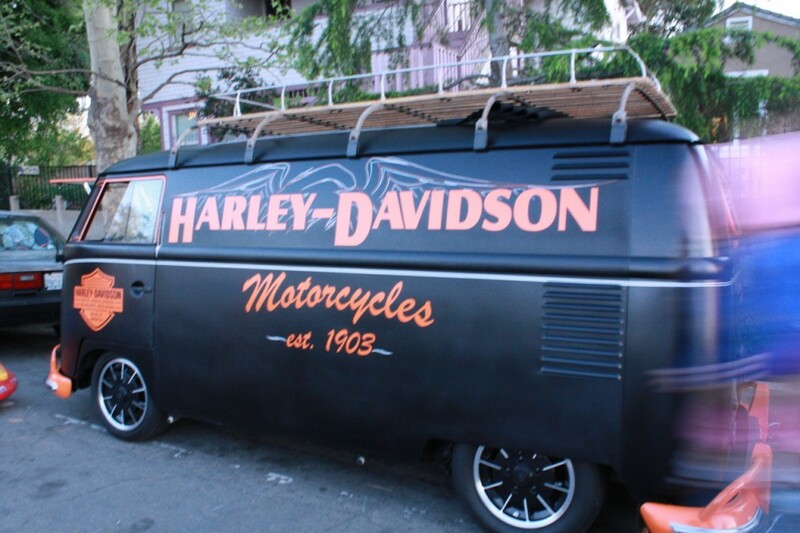 dying to have a go in this…. 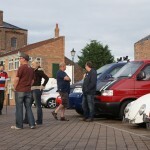 Last night was the July meet of the Dubs on the Wolds club. We set off from our house at around 6pm to meet Golf Girl at the B&Q car park so we could drive over to Driffield together. We left B&Q car park in “Betsy” the VW Beetle at around 6:30pm and headed for Driffield with Golf Girl following closely behind in her beautiful VW Golf “Dubby” – pictured here with the “Big Fat Tour 2011” in the back window. As well as being a really lovely Volkswagen Golf, Rachel aka Golf Girl has some great stickers on the car, it looks excellent. We arrived at Crosshill Car Park in Driffield at around 7:05 pm and there were a couple of dubs there already. We waited for the rest to arrive while chatting and discussing our dubs and taking pictures. 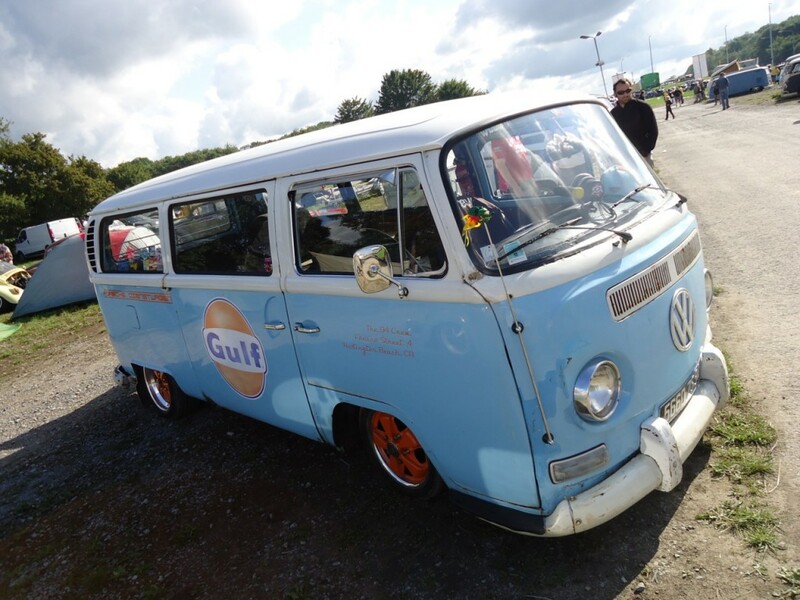 You will notice from the pictures that there is something that doesn’t look quite like a VW – you would be right, Andrew one of the club members has owned many VWs in the past but currently has the Commer you see pictured. There are some lovely rides in this club, I feel very privileged to be part of it. Once everyone was here we all headed in convoy to the Warton Arms Pub at Woodmansey, about a half hour drive from the car park in driffield. We then arrived at the pub in Woodmansey and had another photo opportunity moment and then went inside to get a pint. 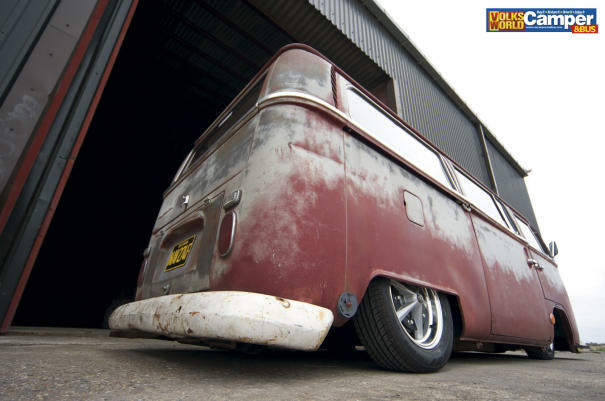 We then sat outside for an hour chatting about dubs, and veedub events and other such things – of course it wasn’t all dub speak (just mostly!). We had a lovely evening just relaxing and chatting with some genuinely lovely people. We are now looking forward to the next meet! The history of these fantastic vehicles fascinates me and so I thought I would share a little of what I know with anybody that is interested in where they came from and why. The majority of people in Germany in the 1930’s couldn’t afford a car due to the cars of the time mainly comprising of luxury models. There were not many who could afford anything more than a motorcycle, which wasn’t the greatest way to get around with a family. 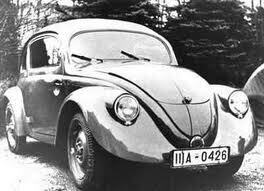 Adolf Hitler decided that what was needed was a state sponsored Volkswagen “Peoples Car” Program. 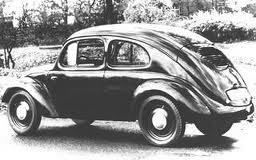 Hitler wanted a basic car that would be capable of carrying two adults and three children at a speed of 62mph (100km/h). A savings scheme was set up for citizens of the Third Reich and the car was to be sold at 990RM (ReichsMark – 5RM was roughly 1GBP, average weekly income was about 32RM per week) – this was about the same price as a small motorbike. There were existing projects of this kind (not state sponsored) that many people tried to persuade Hitler to go with. Hitler decided he wanted and all new state owned factory for his project. He then needed to find an engineer to design the “Peoples Car” and approached the already famed Ferdinand Porsche, who was happy to and agreed to create the Volks Wagen for Hitler. The idea was that Germans would buy the car by means of a savings scheme and would have to put aside 5 RM (Marks) per week – “Fünf Mark die Woche musst Du sparen, willst Du im eigenen Wagen fahren” – “Five Marks a week you must put aside, If in your own car you want to ride“. Around 336,000 Germans paid into the scheme before war broke out. After the war citizens of West Germany had there savings honoured but East Germans did not. Prototypes of the car were appearing from 1936 onwards and the first was the Kdf-Wagen (“Kraft durch freude” – meaning “strength through joy”). The idea was that these cars needed to be fuel efficient, reliable, user-friendly and economical for repairs and parts. The prototype had the distinctive round shape that we all know and love, it was air cooled and had the rear mounted engine. The new factory building was started on 26th May 1938 in the new town of Kdf-Stadt – now called Wolfsburg. A town which was purpose built for the factory workers. When war broke out in 1939 there had only been a handful of cars built. None of the holders of completed savings stamps books had their car delivered, but a Type 1 Cabriolet was presented to Hitler on 20th April 1938 as a present for his 49th birthday. When war broke out, production at the factory had to be changed to military vehicles – the type 82, Kübelwagen being one of the vehicles produced there. During the war slave labour was used at the factory – this was not totally admitted until 1998. Many of the workers during the war (around 80%) were from slave labour and many coming from the concentration camps. 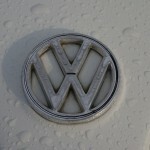 In 1998 Volkswagen decided to set up a voluntary restitution fund for the survivors. The town of Kdf-Stadt (Wolfsburg) was badly bombed during the war including the factory which was then placed under the control of British Army Officer Major Ivan Hirst. To start with use of the factory was going to be for military vehicle maintenance. But Hirst painted one of the factory cars in green and showed it to the British Army HQ, as they were short of light transport, in September 1945 the British Army ordered 20,00. The first few hundred cars went to occupying forces personnel and some to the German post office. 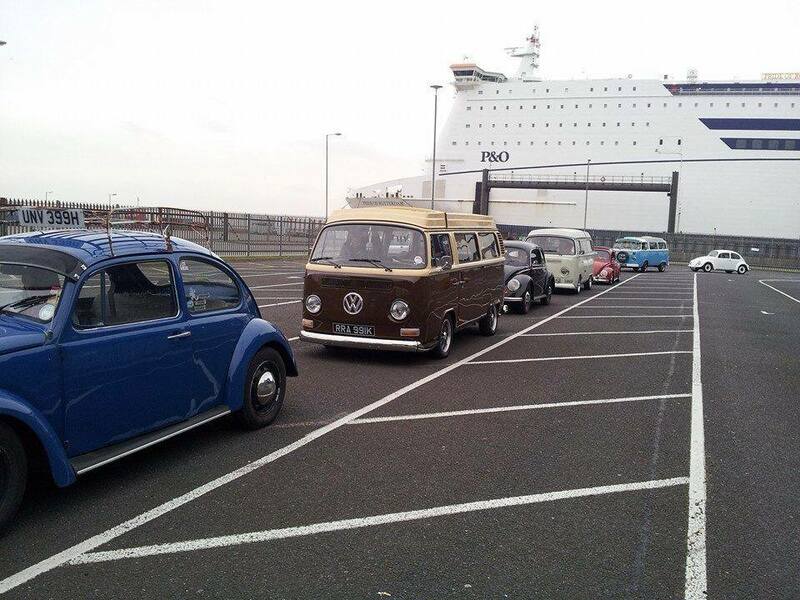 When British service personnel were demobilsed, some were allowed to bring their cars back to the UK. The factory was still in disrepair but managed to be producing 1,000 cars a month by 1946. Unfortunately as it was in such a bad state of repair rain stopped production and some of the cars had to be traded for steel that was required for production. Post war both the car and the town had their names changed, the car became Volkswagen and the town became Wolfsburg. It was unknown at this point what would become of the factory, many countries motor industries were offered the plant but all rejected it one even saying that the car was too ugly and too noisy for the average motor car buyer! In 1945 the factory was to be dismantled and moved to Britain, fortunately for VW no British car manufacturer would touch it. The car survived in Germany by producing cars for the British army. Protected by Major Ivan Hirst the factory survived and then became part of Germany’s economic recovery. Major Hirst stayed until 1949 by which time it had been reformed as a trust and was controlled by the West German government. Until his death in 1968 Heinrich Nordhoff ran the factory and stuck to a one model policy other than the Type 2 commercial van (van, pick up and camper) and the Karmann Ghia sports car. 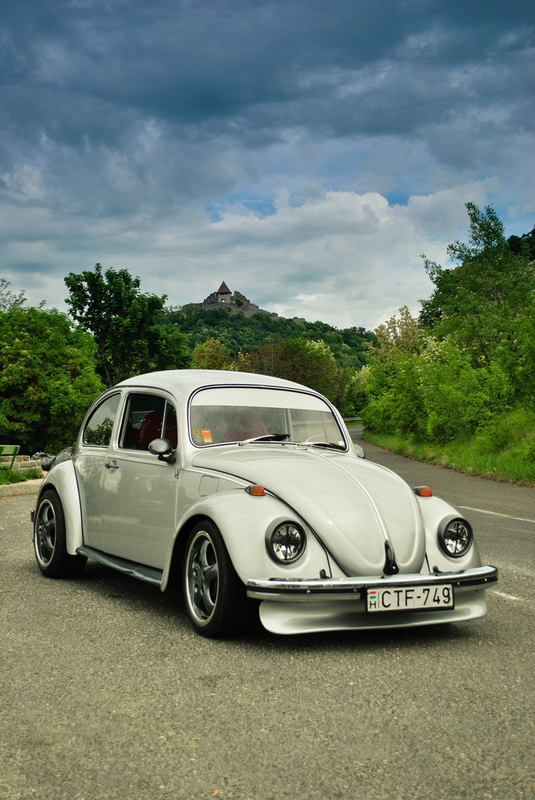 VW started to sell in USA in 1949, but got off to a very slow start – only selling 2 in the first year. This did increase dramatically with production reaching one million by 1955. The car became more and more popular throughout Europe and USA beating the world record on 17th February 1972 when the 15,007,034th was sold. By 1973 production had risen to over 16 million! And so the story goes, there were many models made and many other vehicles designed and built from that first car, they have all been very popular but none ever as popular as the ever loved VW Beetle. I will follow this up with model descriptions from 1938 onwards. Today we had a drive over to York Raceway – just over at Seaton Ross outside York. We had a lovely day, met some great people and saw some great drag racing. 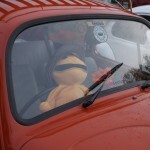 We went to see the air cooled eliminators but saw quite a few others also. Shame it rained as that put a stop to the drag racing but it was still a great day out.